God is a Person in the fullest sense of the term. Furthermore, He is a special, unique Person–not just abstract Existence or Being. God is a “particular” being in the sense that God can be “picked out” or “singled out” from among all other things or beings. Though God is within all things and all things are within Him, yet He stands apart. “They are contained in me, but I am not in them…I stand apart from them all, supreme and deathless” (Bhagavad Gita 7:12, 13). “For my spirit stands apart, watching over Maya, the maker” (Bhagavad Gita 9:9). “Standing apart, He sustains” (Bhagavad Gita 13:14). “He is within and without: He lives in the live and the lifeless: subtle beyond mind’s grasp; so near us, so utterly distant” (Bhagavad Gita 13:15). “Although I am not within any creature, all creatures exist within me” (Bhagavad Gita 9:4). For God is unique in the sense that He is Ekam Evam Advityam Brahman–the God Who is One, Only, Without a Second. He is not one of many, nor is He even one of two. He is ONE in every sense of the term. God is neither conditioned nor confined in any manner. Therefore He is not touched or tainted by the afflictions or faults of life (relative existence), in contrast to us who live within them as though they were the air we breathe and the basis of our existence. Nor is Ishwara bound or in any way conditioned by actions; therefore He is ever unchanging. God is the essence and the apex of Consciousness, so Patanjali further says: “In Him is the highest limit of omniscience.” (Yoga Sutras 1:25) Commenting on this, Shankara says: “The all-pervading mind of the supreme Lord is in simultaneous contact with every object.” The omniscience of God is total and absolute, for in truth God is Omnipotence, Omniscience, and Omnipresence. Then for the yogi Patanjali introduces a significant fact. He does not just say that omniscience (sarvajña) is in God, but that the seed of omniscience (sarvajña bijam) is in Him. Within God is the seed or potentiality of omniscience for those who are united with Him through their practice of yoga. Omniscience is not just objective knowledge, but infinity of consciousness–the Being of God Himself. “Who am I?” is the age-old question asked with “Who is God?” The true “I” of each sentient being is the individual spirit, the self (atman). But there is more. God (Brahman) is the Self of the self–as the ocean is the “self” of every wave. The illumined know that they are the immortal self whose ultimate Self is the Immortal Itself. We are spirits within Spirit, in a wondrous way both ourselves and Brahman, both finite and infinite. Since God is eternal, it is from Him that all knowledge has come–especially the revelation of spiritual truth. As Vyasa observes: “His purpose is to give grace to living beings, by teaching knowledge and dharma [righteousness or religion].” “There is no other but God to give the teaching which is a boat by which they can cross over the sea of samsara, and He teaches knowledge and dharma to those who take sole refuge in Him.…For all the kinds of knowledge arise from Him, as sparks of fire from a blaze or drops of water from the sea,” says Shankara. Therefore Patanjali concludes: “Being unconditioned by time He is Guru even of the Ancients. The fact that Shankara writes in the Nirvanashtakam: “I am neither guru nor disciple” (gururnaiwa shishya) shows that for realisation of the Self the guru-disciple relationship must be left behind and dissolve away. When Paramhansa Yogananda was questioned “about his own role in the religious evolution of this planet,” the great yogi replied: “The one Ocean has become all its waves. 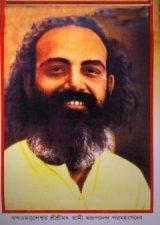 You should look to the Ocean, not to the little waves protruding on its bosom.” (Swami Kriyananda. The Path, p. 493.) Another time he objected strongly to the suggestion that only his writings should be read in the public services of Self-Realisation Fellowship, saying: “I came to make you God-conscious, not Yogananda-conscious. ” If an aspirant neither has nor desires an external guru he can still succeed in spiritual life. That this is so is proven by the fact that the twentieth-century Masters AkhandaMandaleshwer Sri Sri Swami Swarupananda Paramhansha Deva of Pupunki, Shirdi Sai Baba, Neem Karoli Baba, Paramhansa Nityananda, Aurobindo Ghosh, Swami Sivananda of Rishikesh, Swami Rama of Hardwar (Ram Kunj), Om Baba of Delhi, Swami Ramdas of Anandashram, and Ramana Maharshi attained enlightenment without the agency of an external guru. The aspiring yogi can then feel safe and assured. The supreme example of someone who attained enlightenment without a guru is Buddha, who is referred to in Buddhist texts as “Self-Awakened.” All spiritual life is self-initiated from within; we are both guru and disciple as Krishna and Arjuna symbolise in the Bhagavad Gita. 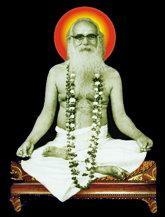 Paramhansa Nityananda said: “He [God] is the One guru, the guru Who is in all, the guru of the universe. No [human] person can be your guru, a person can only be secondary. To emphasise this, Nityananda never gave initiation or became a “guru” in any manner or sense, though he was inspirer, guide, and advisor to many. Swami Sivananda of Rishikesh used to say: “I abhor gurudom”–the debasing of the student-teacher interaction to a personality cult. Swami Yatiswarananda, Vice-president of the Ramakrishna Mission, wrote to one of his students: “We really are not gurus. We bring the message of the Guru of gurus. What all service you can get from me you will. But please turn to Him for light and guidance, for peace and blessedness. As you yourself are finding, human beings are not good enough. The Lord, the Guru of gurus, alone can give us the shelter, the illumination and the bliss we need.” That sums it up very well. 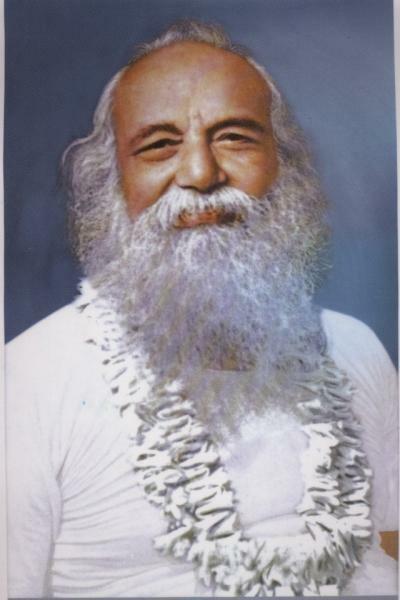 Another leading spiritual figure of the Ramakrishna Mission, Swami Premeshananda, once wrote: “We have presently become inundated by this ‘guru doctrine.’ The purpose of the guru is to lead us to the realisation of God; but God has been left behind, and the guru has become the latest fashion. 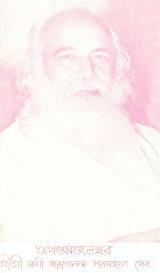 So it is not safe to talk for God will be his guru, just as He has been for all the enlightened throughout the ages. Today, Babamani's followers 101 visitors (126 hits) on this page!